Removing the carbonised particles and suspended sediments reduces the amount of disposable oil used. Vito UK’s range of oil filter machines will do this within around three minutes, reducing the need to change frying oil every day. Ideal for kitchens of all sizes, Vito machines remove harmful chemical compounds from the fryer by actively discarding burnt particles from the oil, resulting in healthier, better-tasting food. 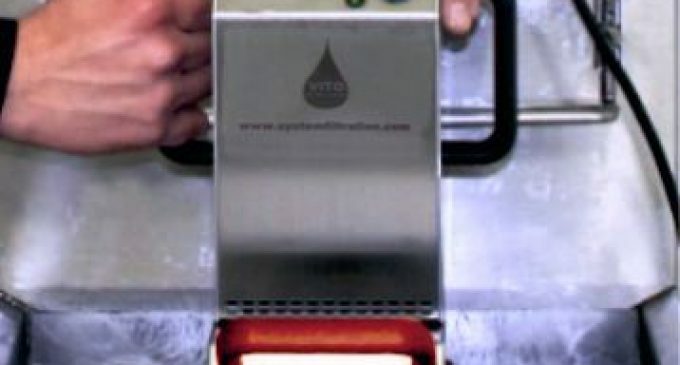 Vito filters and cleans the oil automatically at operating temperature in the hot fryer, reduces labour and offers a filtration power of 30-95 litres per minute. Frying food at too high a temperature does not equate to shorter cooking times; indeed, it usually translates into unevenly cooked fried food and burnt oil. Maintaining clean high quality oil is vital for taste and appearance, the state of your fryer and low maintenance costs. Merely turning down the fryer a few clicks will result in immediate oil savings and extended life of your oil. More importantly, recent studies carried out have suggested that, once frying oil reaches a certain level of degradation, it must be discarded due to health risks. Vito UK shares its top tips on how to fry food correctly and achieve the maximum usage of your oil. · Filter the cooking oil to remove residues of old food, which will prolong the life of the oil. Iain Addison, Director of Vito UK says: ‘Vito machines are cost-effective and designed to perform to the highest standards, removing harmful chemical compounds from the fryer. Clients include the Dorchester Collection, Hard Rock Café, Oxo Tower, MPW Steakhouse, Ibis, Marriott and many more. Every Vito machine is personally delivered with on-site training including a full risk assessment. For information on the Vito range call 01953 851 914, visit www.vitouk.co.uk and follow @VitoUK on twitter.